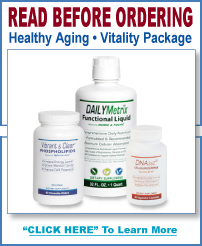 DNA360™ is a next level healthy aging supplement. With a myriad of products coming to market in the last 5 years based on scientific discoveries that protect DNA with targeted anti-oxidants, DNA360™ goes beyond protecting DNA to the point of actually enhancing your body’s ability to repair both single strand and double strand DNA damage. From conception through maturity, DNA repair is an essential biological process and the key to healthy aging. The ac11® herbal extract found in DNA360™ is a breakthrough in phytonutrient science and simply enhances the body's natural DNA repair capacities. Each DNA360™ capsule provides 375 mg of ac11 and 100 mg of OxyPhyte Ultra Blend of Antioxidants. DNA360™ assists the body's natural mechanisms for repairing DNA. The more efficient our body can repair DNA, the healthier we tend to be and the longer we tend to live. Accumulated DNA damage creates less healthy generations of new cells. This, in turn, precipitates reduced functional health and energy, while at the same time accelerating the aging process. DNA360™ increases the effectiveness of other nutrients. This benefit is derived from ac11 found in DNA360™ creating more efficient cell to cell communication precipitated by optimal viscosity in the membrane of the cells in our body. DNA360™ is also shown to support Apoptosis. Apoptosis is the death of cells that occurs as a normal and controlled part of an organism's growth or development. This is very important because, in multicellular organisms, cells that are no longer needed or are a threat to the organism need to be destroyed. DNA360™ has been researched using the thiol test and was found to significantly improve serum thiol values when taken orally. Thus, DNA360™ helps to clean up the accumulated DNA damage and the body, in its wisdom, will remove the most recent damage first. This helps to restore functional health and energy. 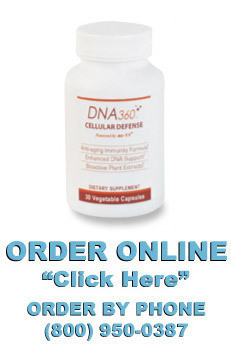 Among other effects, DNA360™ promotes certain DNA repair functions in the cell. Although the exact mechanisms of action are not completely understood, our scientists believe when the body is subjected to stress that may affect the integrity of the DNA, DNA360™ helps activate enzymes that are instrumental in the repair processes. 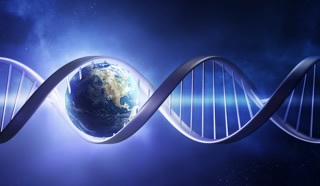 In a series of peer reviewed scientific and clinical studies conducted by third party laboratories and university medical centers, we have shown that DNA360™ helps the body’s natural ability to repair DNA. Backed by 10 U.S. and foreign patents, and with over 17 years of research and scores of published studies, ac11 demonstrably assists the body's natural mechanisms for repairing cellular DNA damage and promoting healing, energy production, immune function and wellness. Many people, including health care practitioners and professional athletes, use DNA360™ daily. DNA360™ also helps to normalize the expression of NF-KB in the cells, thereby regulating cellular response to inflammation. NF-KB is a nuclear transcription factor that influences numerous gene-encoding proteins important in apoptosis (programmed cell death), inflammation and cellular growth. A normal expression of NF-KB minimizes the hazards of excessive oxidative stress. An over-expression of NF-KB triggers increased inflammation. Finally, in a human study, DNA360™ demonstrated a positive effect on lymphocytes, increasing their life span and, by implication, enhancing the body’s immune system.